One of the most important optimizers’ skills is assessment of competition and competitors. If there was no competition, SEOs would have been no needed: it would be enough just to create a website and it would have got itself into the first line of extradition by target keywords. With the match types, you can indicate more accurately by which queries ads should be shown. At the initial stage, LinksManagement recommend you to select broad match in order to use full advertising potential of relevant search queries. To assess the effectiveness of the options, use search terms report. Broad match allows to maximize target audience, whereas direct compliance focuses your efforts on a specific group of users. As a rule, broad match type attracts more traffic, while an exact match helps to achieve maximum relevance of keywords. 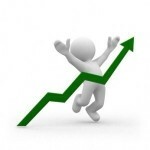 Guided by this principle, you can increase your ROI when selling backlinks on earning by any other way. ROI reflects is the actual effect of AdWords ad. Of course, statistics of clicks and impressions is also important, but it is secondary. You can evaluate our AdWords ROI only with the conversion statistics – useful actions of site visitors, such as buying, downloading and registration. 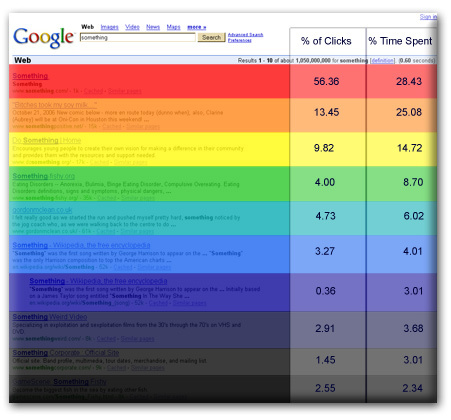 You can get the following statistics by conversion tracking or Google Analytics. In order to assess the return on investment on the campaign, you should subtract the total costs from the received income, and then divide the obtained result by the same costs. Matching types determine the conditions of ad display. To use them, you need to add special characters to the relevant keywords chosen. Broad match. A query can contain misspelled, synonym or one of other relevant variations. Special symbol is not used. This is the default option. Use broad match to save your time and get as many clicks as possible. Broad match modifier. The request contains the modified or close keywords variations (but not synonymous), arranged in any order. Special symbol – +keyword+. Modifier is a plus sign (+). It can be added to any keywords element with a broad match. The ads will be shown if the query contains words relevant to modifier, or a close variant (in any order). Modifiers are not applied to phrase or exact match. Unlike keywords with broad match, when using modifier, ads will not appear on synonyms or related queries. This allows the more precise control of displays. The broad match modifier is an excellent choice if you need to improve the relevance, even through the increase of traffic volume. Phrase match. The request contains the phrase that corresponds to a given phrase and may contain additional words. Special symbol –”keyword”. It allows to display ads on search queries containing the specified phrase, before and after which additional words could be added. In addition, ads will appear when looking at close variant of the keyword, surrounded by other words. Phrase match attracts more customers, while providing a sufficiently accurate targeting. Almost no ads will appear to users if search queries are unrelated to presented goods and services. Exact match. The request corresponds exactly to a keyword or it’s a close variant. Special symbol – [keyword]. Ads will appear only if the request repeats keyword or it’s a close variant, while no other words included. Exact match differs from phrase match by the fact that the advertising will not be displayed if there’ll be any other words before or after the key. Targeting accuracy in this case is higher than in case of wide and phrase matching. Negative match. The request does not contain the specified word. Special symbol – – Add to the keyword minus sign (-) to forbid ads display. Keywords are not case-sensitive, so the use of upper and lower case does not matter when using keyword estimator or during keyword popularity research. The system displays ads for close keywords, so you’ll not miss potential customers. Suppose you have the keyword “car”. Ads will appear in case if a user types “cars”. Managing the display of ads by exact match and close variations is really comfortable, comparing with the case of broad match. The matter is in the latter case, ads show synonyms for keywords and related queries that are not close options. Season. In the process of selecting keywords for a site, it’s useful to determine whether a request is seasonal. E.g., “suntan cream” is seasonal query, and thus closer to summer it will have greater competitiveness. Keyword searchers per month are often different, depending on the season, but not for all topics. Local targeting. Some keywords are very hard to move to the top, especially in developed regions. At the same time, in the outback areas you can comparatively easily move to the top by the locally targeted keywords. Presence of exact key match in search clue. When you start to enter a key phrase in search, SEs offer you a ready-made version of a search query. If it is in the list, then, most likely, you’ll have to conduct a deeper analysis of the issue (otherwise, the query is not very popular and you should exclude it from promotion). The number of sites, participating in the SERPs. Quality of SERPs. It’s useful for rapid visual analysis of the competition. Presence of tagged pages, archives and other indirect info in SERPs indicates absence of competition. Sure, “Wikipedia” is quite authoritative, but its presence in the issue says that SE was not able to find sites with more detailed and interesting content. Availability of content ad in SERPs page. Direct keywords matches in the pages titles. If the titles of found resources have no direct entries, while keywords are far from the beginning of the title, it means that these sites are not optimized for the query and can be oust from top without much efforts. Domains level. If your keyword competition analysis showed third-level domains in SEPs, it means that competitiveness is not great, and you can move to the top by selected keywords (sure, if you site has domain of the second level). Pages nesting. If SERPs present sites, leading to the home page, it’s an evidence of a highly competitive request. If you want to promote homepage, while SERPs consists of second- or third-level domains, you’ll probably succeed. In case of equal conditions, it’s necessary to carry out more in-depth analysis of the competition. The presence of in URL. If the URL contains keyword, it means that the request is competitive. The number of sites with exact occurrence of the keyword in quotation marks. Snippet quality and presence of a keyword in it. You can visually estimate snippets and check whether they contain quality and full descriptions. Domains age. You can hardly “move” old domains that have taken their place in SERPs. Quality of content optimization. This is really deep analysis, as to perform it you must visit each competitor’s site, open its source code and determine the quality of on-page optimization: the presence of keywords in the title, meta-tags and tags, keyword density on a page, the exact number of matches, nausea and text amount, internal and external links. The cost of a keyword in automatic promotion systems. Keyword popularity checkers automatically calculate a monthly budget to promote your site on any particular keyword. Sites technical characteristics (HTML code errors, page loading speed, ease of navigation, visual quality of the templates, etc.). Competition is always a comparison and selection. To compare some things, they should have quantitative indicators, as quality can be compared only by experts. When assessing the competitive search queries, the same laws accepted – you need quantitative indicators that will say whether a particular request is competitive or not (use a Free SEO report). However, people who identify SERPs competitiveness, in fact, don’t need that factor. What do they need is to determine how much energy (in cash equivalent) is needed for promotion of a particular request to the desired position. Competition in this case acts as a conversion factor of different energy indicators. E.g., if you know that you’re spending $ 200 a month for one request, and site moves to the top 10 in Google, you can assume that another request with the same competitiveness level will take the same amount of investments. And vice versa – if a site has a certain quantitative indicators (backlinks, age, likes, number of key matches in the text, etc. ), then, selecting similar parameters for other site, you’re likely to be able to compete with the first one. You need to compare or evaluate the already existing characteristics to analyze the competitors. Indirect factors. 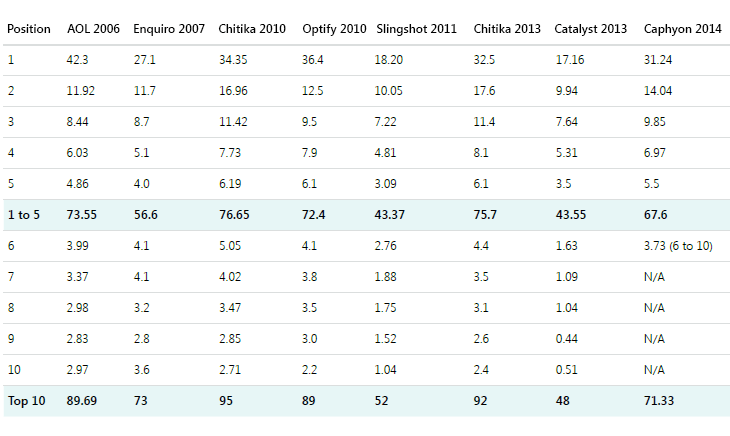 You can make keyword popularity check and estimate its competitiveness by collecting a few quantitative indicators of this key in one table, analyzing the issue and sites, presented in it. Main parameters are: number of main pages in the top, total number of sites in SERPs, number of direct request matches to the titles, average age, backlinks average number, number of words in request, number of text advertising blocks in SERPs, presence of Wikipedia and YouTube pages, etc. After collecting all the data, you can enter the keyword effectiveness index – KEI, as the quantitative measure of the request competitiveness. KEI is generally calculated as KEI=request frequency *1000/total number of sites on request. However, this is a very crude measure, so include in it as many different factors, influencing the complexity of the request promotion to the top, as you can. Comparing the KEI for different queries, you can estimate their degree of competitiveness. Estimation of SEO costs. The second method to compare two search queries is to find and to compare their promotion costs. 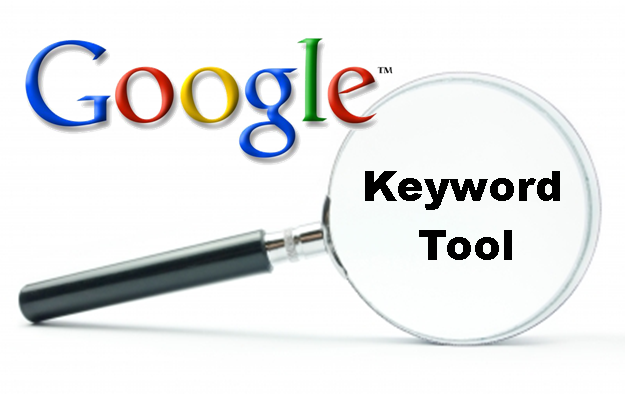 There are various automated systems, for example, Google KeywordTool. If you know much work and efforts you needed for the promo of “women clothes” request, by comparing the value, obtained by different services, you’ll have some idea of how much work and effort you’ll need for promo of “men shoes” or any similar request to the same positions. Request competitiveness is usually means energy, which must be put to promote key phrases to the top. Therefore, when evaluating the competitiveness of requests, it is necessary to look for indirect factors, affecting the energy consumption (e.g. it can be the cost of advertising or promotion, resulting in services budget estimates, or a set of other factors, such as the number of pages in top, the presence of Wikipedia, mean domain age, etc.). The more factors are used when assessing the competitiveness of keywords – the more accurate the results. 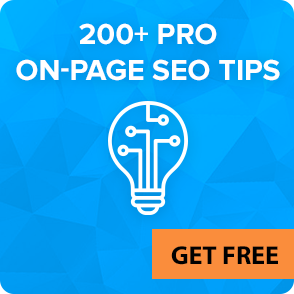 It’s a one of keyword tools that allows you to enter a query or URL-address of the site and get back a recommendation, relating to which keyword phrases should be used for promo. Keywords Tools provides search volume for keywords, taking into account the region, keyword competitiveness and other info. Unlike keyword competition tool, for your site Google Keywords Tools displays all keyword phrases, which meets the interests of users request (without taking into account other forms of request). Thus, by introducing, for example, the key phrase “cheap cars”, you’ll get a list of requests with a direct match of the phrase. But the most interesting feature of the service is displaying info about the request competitiveness level. With this info, you’re able to generate the most effective semantic core for the site by selecting keywords of medium or low level of competition, or vice versa(if your goal is to get maximum search traffic and amazing results). But do not forget that Google Keywords Tools show the info only on the number of SERPs displays. It is primarily focused on the solving AdWords advertisers’ tasks, but not tasks of SEOs. Word tracker. A tool for low-frequency words. It’s paid, but has a 7-day trial version. Bing Ads Intelligence. Keyword search volume tool for selection and optimization of keywords from Microsoft. It includes MSN and Bing data. This tool is free, but only works in MS Office 2007, 2010 and 2013. SpyFu. This keyword search counter is very similar to Semrush, actively used in affiliate marketing. Keyword Spy. Allows to examine competitors’ words and ads, up to the ROI. It’s paid, but has free trial version. As you can see from the graph, the first 2 listings receive more than half of the users’ attention in terms of eye fixation. While both listings receive about equal attention, the number of clicks differs by more than 4 times. The duration of eye fixation falls sharply after the second result. Listings from the 6th on 10th receive equal attention. An interesting thing here is that the 7th listing receives less attention than 6th and 8th. This can be explained by the effect of scrolling. The 7th result is beyond the edge of the screen, and users often miss it when flipping down the page. This also affects the number of clicks – throughout the experiment 7th listing was clicked only once. The 11th listing – the first result of the 2nd page of issue – received only about 1% of the clicks and 2.5 times less attention than the last 10th result on the 1st page. The differences in the methodology of search studies have a decisive influence on the difference in the results. But it’s totally clear that to promote the campaign well, you should get ranked on Google at least on 10th place, and desirably on the 1st. Keywords research is one of numerous elements of complex SEO. It’s quite hard to cover this problem independently, while it’s a basis for successful promotion. To have your further efforts effective, we recommend you to ask of LinksManagement pros for quality SEO assistance. Moreover, you can fully trust SEO complex to the service by launching the VIP program, streaming your efforts on things you’re really versed.